Combing, brushing, teasing, hairstyles; Rey doesn't have time for that! She's got to forage for metals to sell to the junkyard because a girl has to eat, especially a girl who lives on the arduous planet of Jakku. Not only is it hard to survive there, but it's also extremely difficult to do anything with your hair. 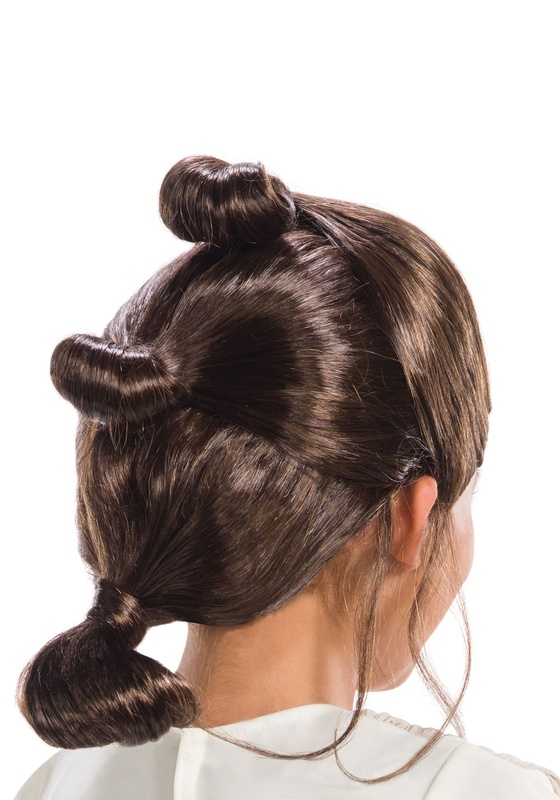 The windy desert whips it around all day so keeping up a maintained head of hair is very time-consuming, so it's a good thing we supplied Rey with this Star Wars wig. Instead of controlling her hair, she just throws this wig on and she suddenly has a futuristic hairdo without it wasting any of her precious time! 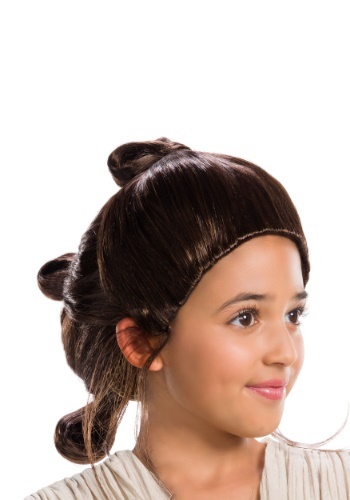 If your daughter wants to be Rey for Halloween, then she needs this Rey wig too. It's officially licensed and features an elastic interior mesh cap for comfort. It'll save her some much-needed time so she can do more important things, like practice her lightsaber skills.